In early 2009, James Hetfield contacted EMG Pickups president Rob Turner and presented him with a challenge: to create a "stealth" looking set that captures the clarity and punch of a passive pickup and still retains the legendary active tone that molded a generation. 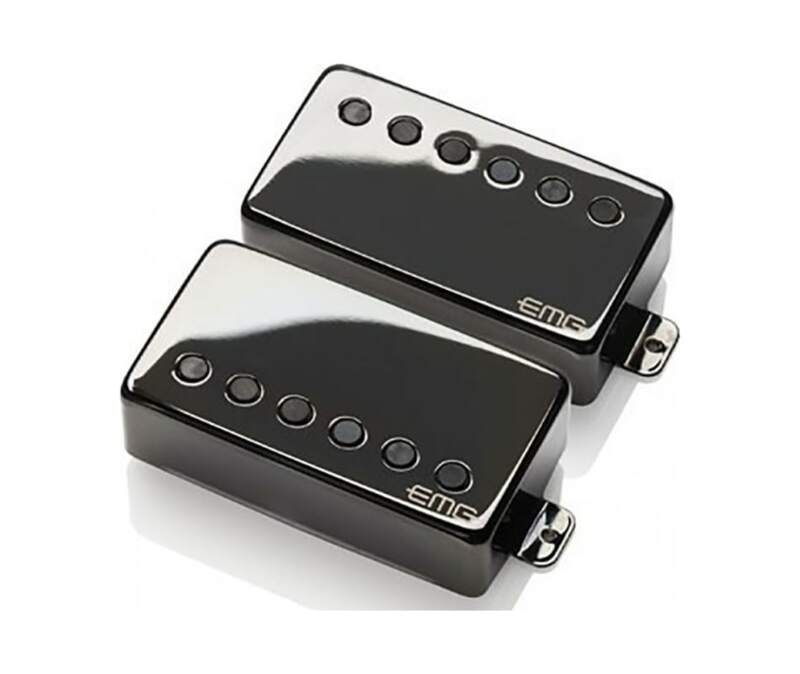 Now available in EMG Metal Works Finishes and EMGs Solderless Installation System components, the JH Set consists of the JH-N (neck) and the JH-B (bridge). Both were patterned after the pickups James had used for 30 years, but the end result was a completely different animal. The JH-N has individual ceramic poles and bobbins that feature a larger core and are taller than the 60. This produces more attack, higher output, and fuller low end in the neck position. The JH-B uses the same type of core but has steel pole pieces, unlike the 81 that uses bar magnets. This produces the familiar tight attack with less inductance for a cleaner low end.